New Studio for The Painted Cat! ← Artwalk is right around the corner! 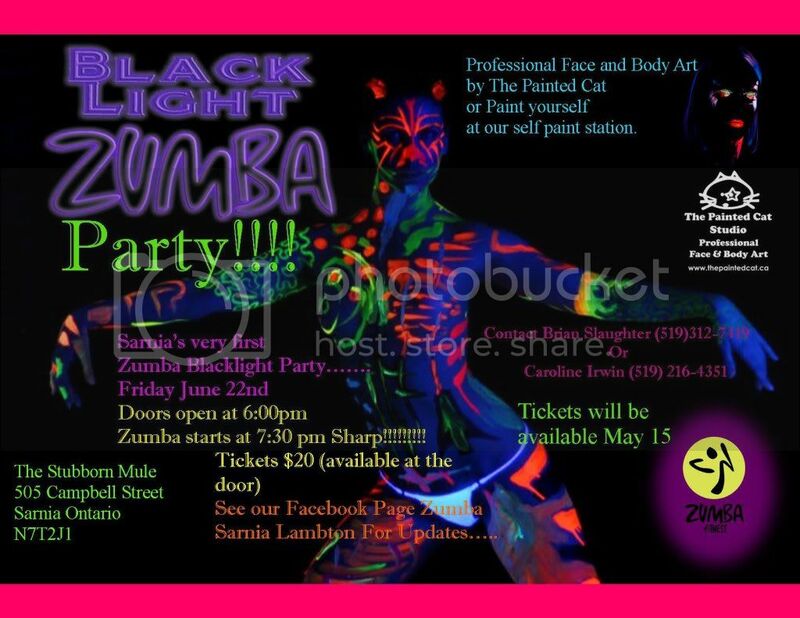 Blacklight Zumba complete with body painting! Really excited for this colourful and vibrant event at The Stubborn Mule! Copyright 2015 The Painted Cat.